Here we are are, back in Ordinary Time, this short stretch between Christmas and Lent. 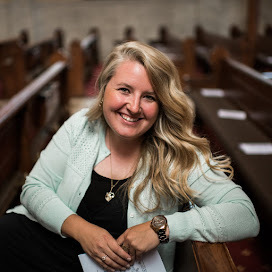 It can be tempting after the busyness of Advent and Christmas to put away the decorations, set aside seasonal devotionals or practices, and assume that there is nothing particularly special about Ordinary Time- but that is far from the truth. 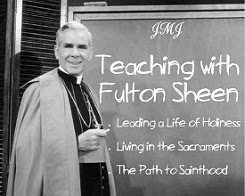 Ordinary Time doesn't mean boring- it calls us to order, to growth, to everyday holiness. Ordinary Time allows our faith to flourish in the normalcy of life, where Christ has always been and always will be. It is good to have the unique Seasons of Advent and Christmas, Lent and Easter to shake us awake with the monumental events at the beginning and end of Christ's earthly life, but He (and we) certainly did a lot of living in between. 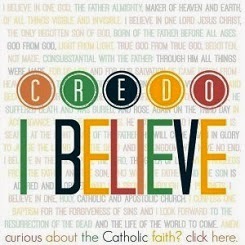 During this Season of Ordinary time we soak up Christ's miracles, His teachings, His call to His followers. We find ways to be his disciples not just in extraordinary situations, but in each ordinary moment. Just as I decorate my home for Seasons like Advent and Lent, I try to make the decor to also reflect the Season of Ordinary Time. Lots of green as a reminder of the growth we are called to, prints and pictures of Saints whose feast days we celebrate, and quotes from Mass readings are on frequent rotation in my home. When possible, I've tried to link to items in these photos if you see something you'd like for your own home. This post contains Amazon Affiliate links. That means that if you click through and purchase something, I will receive a small commission at no cost to you. First up, here's a favorite reading spot in my living room. The fabulous chair my mom found at our favorite local thrift store- it has giant flowers in the best shade of blue and green, and while a bit crazy and threadbare, I love it. The end table was made from an old card catalog and holds just a small portion of my pens and markers, making this a great spot for Bible Journaling. But the highlight is my Mary Consoles Eve print, which to be honest, I have on display no matter the Season. It just tends to move locations. So much prayer and symbolism are packed into this piece of art, and I know it has impacted countless people. Meditating on the Incarnation is fitting all year round. -"Mary Consoles Eve" Print by Sr. Grace Remington from Our Lady of the Mississippi Abbey. Can be purchased here. -Vintage blue flower print chair and card catalog-turned-end-table. 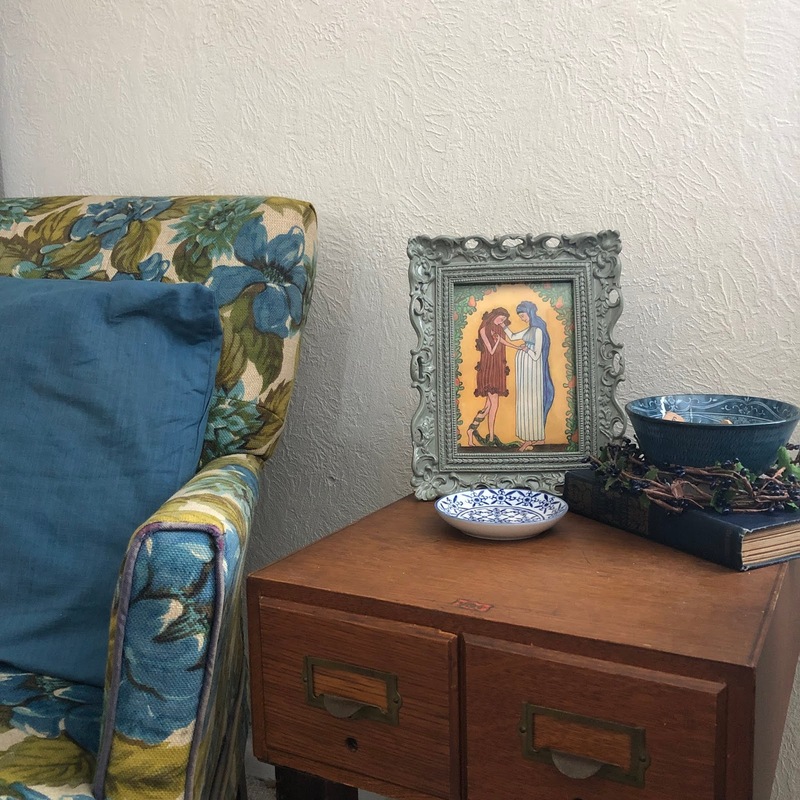 Next up, in my bedroom, I have a beautiful little cabinet I found last summer at a flea market and am using as a prayer space. I've already changed out the items on top for display quite frequently, and I think this is my favorite yet, probably due to this gorgeous standing Crucifix. *HolyArt sent me this product in exchange for a review. All opinions are my own, and I only recommend things I love and hope you would too. On my cabinet, I've got some green plants (Philodendrons are the only thing I can keep alive for extended periods of time- #farmersdaughterwithablackthumb) to remind me of the growth of this Season, as well as a beautiful wrapped canvas of Raphael's Disputation of the Holy Sacrament. That painting kept popping up in events in my life last fall, and I knew I needed to have a copy of my own. There are so many layers of meaning and so much to contemplate in this painting. And I just added this standing Crucifix to my collection. It is made of natural, carved ashwood, and the detail is stunning. The two-tone wood is simple and yet profound. I'm so pleased with the quality and the customer service of those I've worked with at HolyArt. 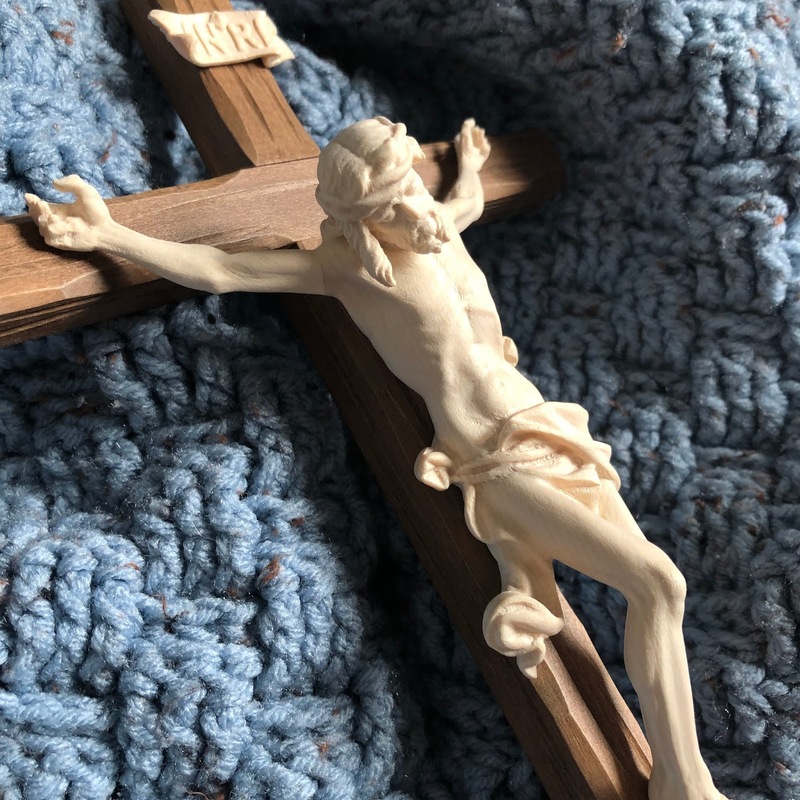 Their site has literally thousands of unique Catholic items- from statues and jewelry, to liturgical accessories and food from monasteries around the world. -Vintage Lives of the Saints book and milk glass bowl-turned-planter. 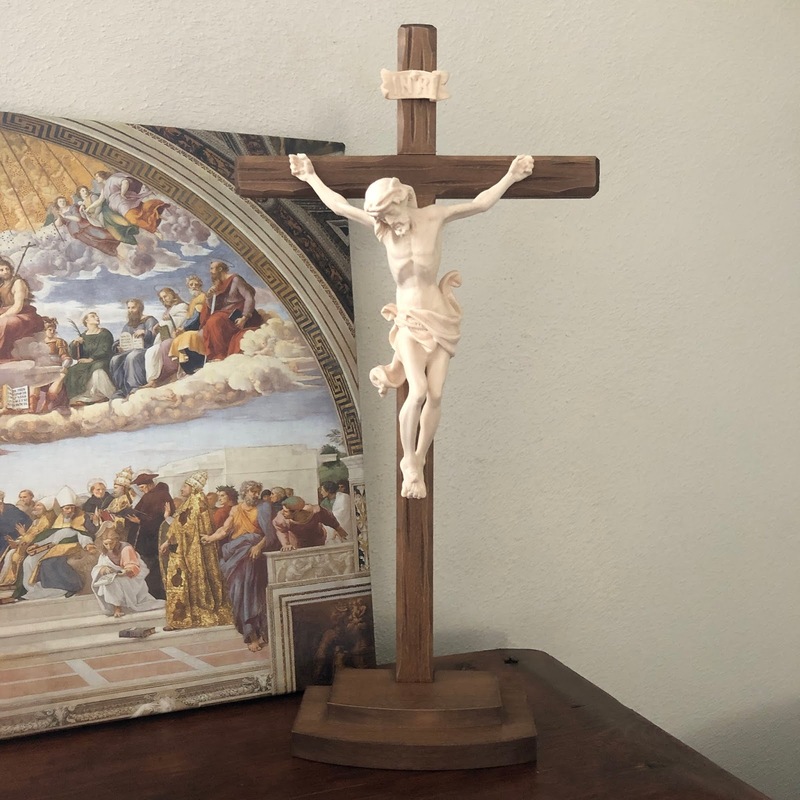 -Natural Wood Standing Crucifix from HolyArt. The wood grain is visible in the Corpus and each little carving adds to detail that creates a stunning overall effect. It arrived well packed and in perfect condition all the way from Italy! The quality of construction and classic design means this is an heirloom piece I plan to enjoy for many, many years to come. Someday I hope to have a fireplace mantle to decorate, but until then, I decorate the tops of my antique bookshelves. 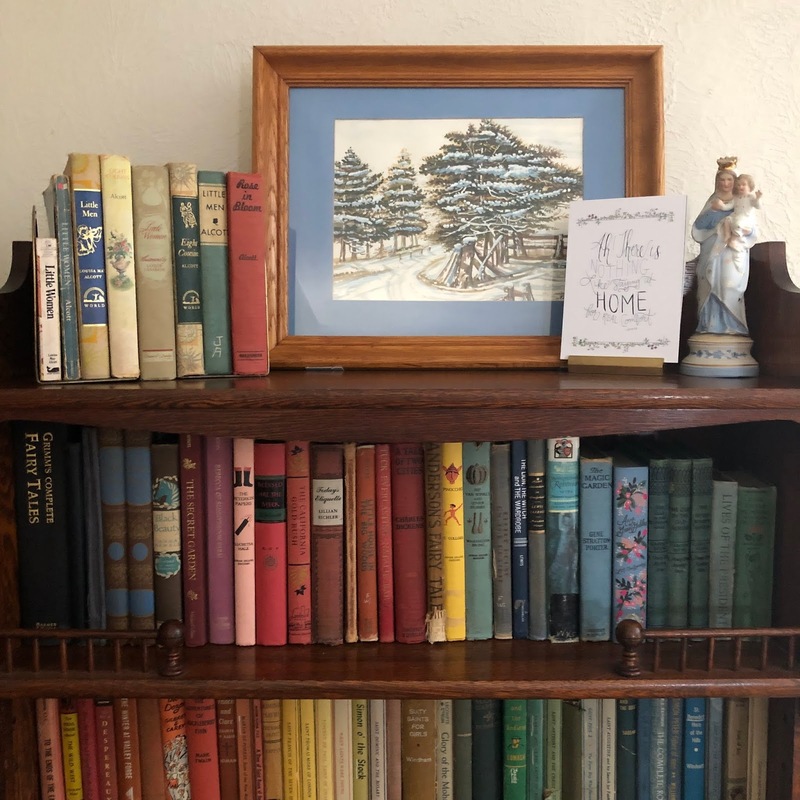 This one is especially pretty as two of the shelves hold my vintage book collection, organized by color. (I just can't do it with all my other books though- they are organized by topic and then author so I can find and use them quickly!) On top of this shelf, I've got mu Louisa May Alcott book collection, which reminds me of cozy winters, a snowy scene painted by my uncle, a print with the line from Jane Austen's Emma, "There's nothing like staying home for real comfort," and a Mary and Baby Jesus statue that belonged to my Great- Grandma- it has 1901 written on the inside! -Winter painting done by my uncle. -Home print by Carrot Top Paper Shop. -My Great Grandmother's Mary & Baby Jesus statue. And on the top of my other bookshelf is my letterboard, which I change out with the Seasons. 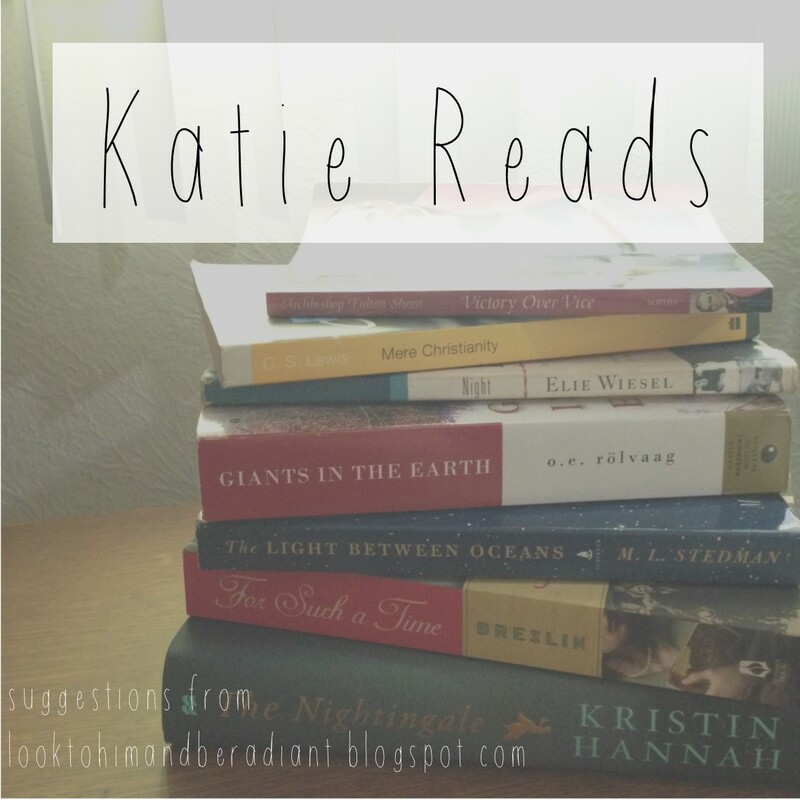 You can see some other examples using the hashtag #katiesletterboard. My favorite (fake) boxwood wreath is perfect for Ordinary Time, and I absolutely love the Immaculate Heart tin ornament my sister got me for Christmas. As I researched it to find a link for you, I'm realizing that it's done in the style of a milagro or ex voto, and now I'm intrigued and plan on doing more research. ( If you know more about this custom, I'd love to hear from you!) This quote from Psalm 84 came up in my prayer last week, and seemed like a perfect verse for this first part of Ordinary Time. 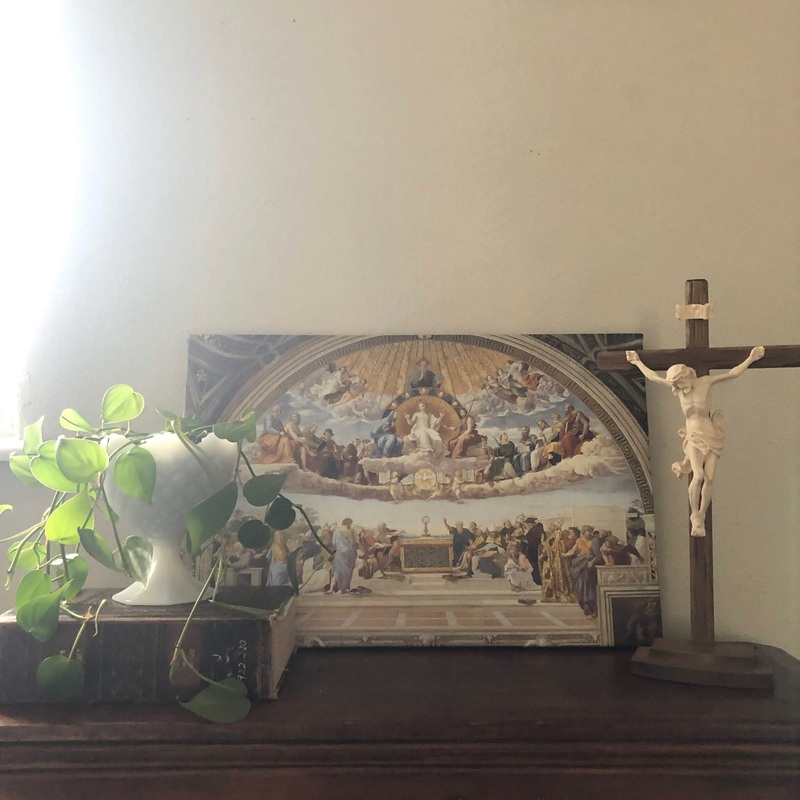 It especially reminds me that all of these outward expressions of decor and liturgical traditions should ultimately help us orient our lives so that we are not just welcoming Christ into our homes, but into our hearts. 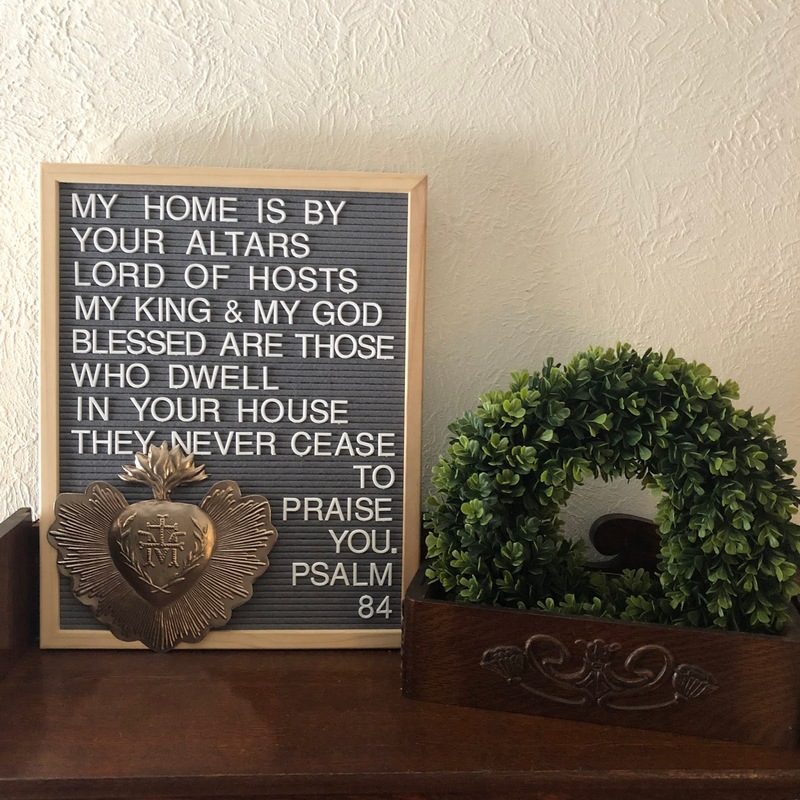 -Gray letterboard from Hobby Lobby, similar here. How do you mark Ordinary Time in you home and heart? 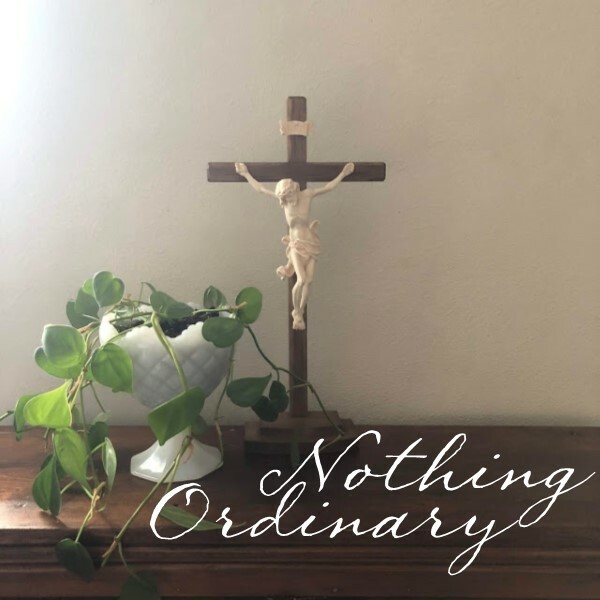 I'd love to hear back from you in comments, or tag me in a photo of your Ordinary Time decor on Instagram! It looks beautiful and so does your standing crucifix. What a beautiful Catholic-themed home! My favourite is the ashwood Crucifix. Still, what stands out is your love for the faith. I came here looking for the Order of the Mass in pictures for a booklet I'm preparing for my youngest who's to receive 1st Holy Communion this year. There are so many lovely books in the world but where I am, they're hard to come by (and the exchange rates make them very expensive too). I'm using the beloved St Joseph's Catechism for my child, but since it's old, the part on the Mass responses are outdated. But it's ok, just need to do some typing, cutting and pasting! Thank you for the beautiful work you do. My favourite saint is Padre Pio. I will press you into his heart tonight.